Yay - about time. 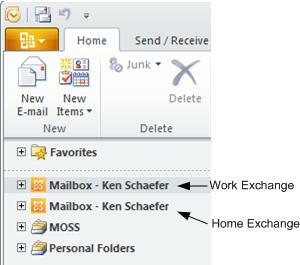 We can now avoid the situation where we have to load multiple copies of Outlook to access multiple Exchange profiles. I haven't worked out a way to rename the actual mailboxes (that actually works). For those stuck on an older version of Outlook, the ExtraOutlook tool is still available.